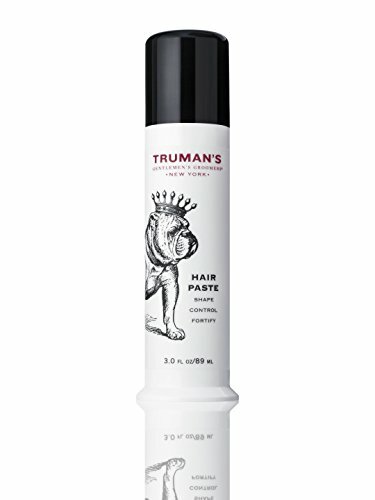 Truman's versatile Hair Paste is designed to provide structural support and long-lasting hold with just the right amount of control. Our measured pump delivery system dispenses the perfect amount of product every time, so you will never over use or underuse again. Directions: Use half a pump for thinning hair, one pump for full hair, and two pumps for coarse or unruly hair. Use on all hair types for a medium hold and just the right amount of shine. If you have any questions about this product by Truman's Gentlemen's Groomers, contact us by completing and submitting the form below. If you are looking for a specif part number, please include it with your message.